Joshua Pollack was selected among top attorneys in the New York Metro Area as a Super Lawyer. He was selected through a rigorous evaluation process that identifies qualified candidates by using a multi-step evaluation process that incorporates peer recognition and professional achievement. Joshua Pollack graduated from Brooklyn Law School in 1990 and, shortly thereafter, became a trial attorney representing the City of New York. During his tenure with the City, Josh selected over 100 juries and took over 60 verdicts on cases involving all types of claims including, trip and fall accidents, auto accidents, school supervision, police misconduct, unsafe place to work, lead poisoning, and medical malpractice. In 1996 Mr. Pollack began representing people who were injured as a result of the negligence of others. Since Josh started representing people who were injured, he has picked well over 100 juries and he has taken over 50 verdicts. Additionally, he has settled several hundred cases worth millions of dollars. 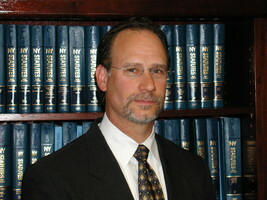 As a plaintiff's attorney, Mr. Pollack has handled trip and falls on streets and sidewalks as well as inside buildings, automobile accidents, motorcycle accidents, labor law that includes failure to provide a safe place to work and construction accidents, misconduct by police officers, children who have been poisoned by lead paint, burn victims, and medical malpractice. In one of the cases Mr. Pollack tried to verdict, the jury award $16,000,000.00 (Sixteen Million Dollars) to a woman who was hit by a New York City Transit Authority Bus. That verdict was the 7th highest verdict in the State of New York and the highest verdict in Queens County in 2005. In another case, a jury awarded one of Josh's clients over $2,500,000.00 on a case against the City of New York that involved a student who tripped and fell and broke his leg while playing at school. In yet another case, a jury awarded over $1,700,000.00 for neck injuries sustained in a motor vehicle accident. Some of the other cases Josh received jury verdicts and/or settlements on behalf of his clients include: $900,000.00 for a client who lost 2 fingers and sustained nerve damage to her hand after being injured by a table saw without a guard, over $700,000.00 for a client who slipped on grease on the street and fractured his knee, over $700,000.00 for clients who were passengers in a car that struck a retaining wall on an interstate highway, over $500,000.00 for a woman whose house was damaged by a contractor doing work on a construction site next to her house, $500,000.00 for a woman who could not escape a fire because of window bars that were installed in the fire escape window, $500,000.00 for a woman who's confidential information was released by a drug rehabilitation center, $450,000.00 for a woman who was caused to fracture her ankle after slipping and falling on ice, over $400,000.00 for a client who tripped over a construction plate and fractured her pelvis, over $400,000.00 for a construction worker who fell from a plank being used as a scaffold, over $350,000.00 for a child who was exposed to lead paint and had lead poisoning with a 26 lead level, $350,000.00 for a client who tripped over a hose while rollerblading injuring his pelvis, $350,000.00 for a carpenter who injured a tendon in his leg after a step on a deck broke causing him to drop a glass table that lacerated his leg, $300,000.00 for a child who was exposed to lead paint and had lead poisoning with a 19 lead level, $300,000.00 for an electrician who sustained nerve injuries to his arms after coming in contact with an exposed wire, over $300,000.00 for a client who was caused to fall out of a hospital bed and broke her leg, over $300,000.00 for a client who fractured her ankle after she slipped on water in a stairwell, over $300,000.00 for a client who injured his shoulder when he was struck by a car while riding his bicycle, over $250,000.00 for a woman who was caused to have a ringing in her ears after being struck by a car, over $250,000.00 for a teenager who slipped and fell on a loose tile in her kitchen and fractured her leg, over $200,000.00 for a young girl who sustained a fractured leg when she was hit by a bus being driven by a distracted driver and over $200,000.00 for a woman who injured her hand when while driving she went under a tractor trailer when the truck driver suddenly made a left turn and failed to yield the right of way. Many of the cases Josh has handled have been profiled in newspapers and reported in legal journals. One of the cases Josh tried and won was broadcast on Court TV which was subsequently featured on NBC's Dateline. Mr. Pollack remains committed to fighting to protect those who are injured as a result of the negligence of others.